Hannah Elise: Hannah Elise Workshop : recap!! Hannah Elise Workshop : recap!! This past Saturday I had the joy of hosting a photography workshop here in Iowa!! and literally drop everything in your lap. I am still blown away by how God opened all the doors and brought 5 attendees all within just a month!! do actual photo shoots, and just talk, laugh + eat delicious food all together! and also a big thank you to my family for all the different ways they helped out and encouraged me with this!! We started the morning with brunch!! And then moved onto teaching! Some of the morning topics we discussed were camera basics, branding, walking through a client process, pricing, mistakes I've made, and general tips for photographing people. It is super hilarious to see photos of yourself talking, ha!! 'The Claw' demonstration..NOT!! I have no idea what I was talking about here, but obviously it needed some hand motions. :P I showed the girls some photo examples to go along with what we were discussing. Right here I was explaining about aperture when photographing people. Heading out for the portrait session shoot!! I had two sisters, Shelby & Danica model for us, along with the fabulous Chels! They were perfect, and totally rocked it! real camera photo I shoot of Chels at this location. ^^ another real camera photo of the sisters!! I mean, how adorable are they?! I was so thrilled they were able to model for us. "let's move out!!" taking over the town. :) Also, I know I'm short, but it cracks me up in this photo how I am at least, half-a-head-below-everyone. explaining what I was doing with Chelsy here.. After I shot for a bit, I handed over the models to the attendees and we rotated around in groups. So they each got a few minutes with Shelby, Danica & Chels. 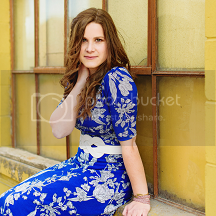 Worked great, and I loved seeing these girls step in with confidence as they photographed!! I also took a few head shots for each girl to use on their blog/website/social media! I met Summer years ago when she came to a tea party I hosted, photographed her family awhile back, and am so excited as her business is taking off this fall! Awhile back I met Rebekah on a hayrack ride, and loved finding out we had similar interests!! Such a joy to have her come and get to reconnect in person. She is already doing such an awesome job with her work, and I am excited as she is currently transitioning from a hobby into a business! and p.s. I might be slightly jealous of her glorious red hair. :) Sadie and I have gotten to know each other a lot better over the last year or so, although our families have mutually known each other for pretty much forever!! (like 20 years ago forever, not kidding!!) I was super stoked that she was able to come, and have been so encouraged watching her photography skills grow by leaps and bounds since she started her business. When I first met Ruth last summer, we bonded over our mutual obsession with the color orange!! Because anyone that loves the color orange is automatically awesome in my book. :) She is just getting into dslr photography, and I love her eye for capturing details in her images. Elizabeth is totally sweet and just radiates joy wherever she goes. I have LOVED getting to know her so well over the last year, and she is always a huge blessing to me. She just got a new camera, and I am so thrilled to see her photography growth and love of learning!! In the afternoon we headed over to a local cafe, which has the best vibe. While there we discussed business & marketing (my favorite topic!! seriously nothing gets me fired up like talking about marketing), and ate an early supper. I got the girls these fun, blank journals via Michael's -- because every artist needs a notebook without lines. :) And also a headband from Garlands of Grace!! Their Cecily stretch ones I am super obsessed with, and wear them all the time when I'm shooting. (the brown + white one I'm wearing in most of these photos, is the same style as theirs. so comfy, keeps all my hair out of my face, and their prints are beautiful. you should probably go buy one.) ;) I brought a bunch of cards I have designed in the past for clients to show the girls. Told you the vibe of this place is cool!! "Guys, just think of your business like a choo-choo train or a sewing machine.." Haha, I'm kidding. :) Decisions, decisions. So many good options -- I could totally go for another mocha frappe right about now. :) showing how I edit in Lightroom.. After supper we headed back for a family session!! I was so grateful for the Robison family as they drove an hour to this shoot, and were totally awesome to photograph as our model family. Love them!! Carli is expecting another baby this fall, which gave us the added bonus of doing some maternity shots! Photography gets you in all different positions. :) More real camera photos of this family will be blogged sometime soon! A few instagram photos I've been posting from the workshop!! Best assistants I could ever have. Could never have done this without Amanda and Chels -- those girls are total gems. Most of the behind-the-scenes photos in this post are from them, and also a few from Elizabeth. Thank you girls so much!! Ending with my favorite photo from the day -- I simply adore these girls, and am so humbled that they wanted to come learn from me. Let's plan our cheesecake reunion asap, okay?!! :) I also want to give a quick thank you to all who were praying for our workshop day, and just to everyone who encouraged me with this new adventure. You guys are such a blessing to me, and God's hand was so evident through the whole process! so if you would be interested in coming please shoot me an e-mail! So fun! Makes me wish I was there!!! My sisters and I were looking through this post and I said: "Man, I wish I could have gone!" It looks like it was so great - proud of you! It was incredible and I was super honored to help you out just a tiny bit. =) thanks for inviting me-twas a blast! This looks SO fun! I love following your blog, the posts are always so encouraging and brighten my day :) Keep up the awesome work you're doing!